I get calls from business owners that have been referred to me by my clients from time to time. The conclusion they’ve come to from the referrers suggestion, is that they need to do something about their online presence and the picture it is painting of their business. How up to date is your current site and does it have the capability of optimizing the back-end for SEO, and is it up to date on rendering to all mobile platforms? How invisible are you on the web right now? Do you need a local SEO campaign or a national? Are the keywords which you’d like better search results, very competitive, or only mildly competitive? How quickly do you want the results? Etc. Each of our clients have a different price point. Some are similar in cost for service, but most are different because each has its own particular elements that make the projects difficulty level different. With that said, I have never (EVER) had a client that didn’t receive a higher return than their original investment with us. And most often it’s a return that it becomes a no brainer. We’ve had clients grow out of their location due to our efforts. We’ve had clients win contracts because of the reputation management that was performed by us. 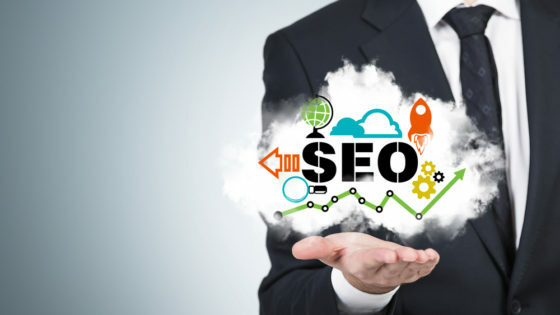 These statements are not to be boastful, but to bring light on the fact that SEO produces customers. Whether it’s us or another firm. Now, since it’s my business to prove to people that SEO is important and well worth the investment, you shouldn’t take my word for it. Just search “Is SEO worth the investment?” on Google. Considering the incredible rate of increased mobile search for local information over the last several years, I’d say it’s only going to become more important for businesses to have their online information in order. See SearchEngineWatch.com May 7th article “Google: Local Searches Lead 50% of Mobile Users to Visit Stores [Study]” By Jessica Lee. Professionally speaking, I will never take on a project that will not benefit them. It’s never worth it in the long run. So do your research and come to your own conclusion. Yes, it cost money to do SEO, but since the dawn of time, it has cost money to do marketing for business. This is no different. Just a newer technology of marketing.